The Department of Physics at UCF and the Graduate Society of Physics Students (GSPS), with the support of the Outreach Program of the GMAG group at the American Physical Society, are collaborating with both the Department of Biology at UCF / Biology Graduate Student Association (BGSA) and the Department of Chemistry / Uknighted Chemistry Graduate Student Association (UCGSA) to bring “Physics Youth Scholastic and Instructing Camp for Orlando Scientists” (PhYSICOS), “Biology Integrated Orlando Training and Enrichment Camp” (BIOTEC), and the “Orlando Chemistry Tutoring, Enrichment and Training Camp” (OCTET). The first installment of the Physics Youth Scholastic and Instructing Camp for Orlando Scientists (PhYSICOS), held in June 2017, was a rousing success. 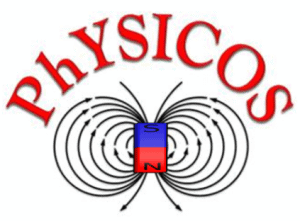 Thanks in great part to the contribution of the Outreach Program of the Group of Magnetism (GMAG) of the American Physical Society (APS), the week-long summer intensive physics camp was offered entirely free of charge to high school students local to the Orlando area. As a peer-lead Summer school, Physics graduate students from the University of Central Florida (UCF) were involved in every step of the process, without intervention of faculty. 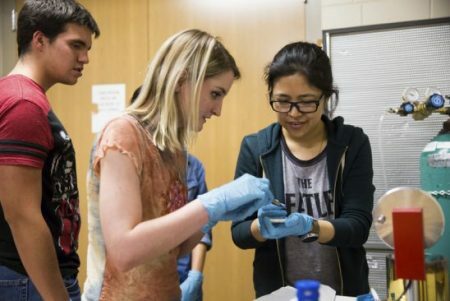 This approach serves two purposes: On the one hand, graduate students get valuable training in outreach, learn Physics by teaching others (Service-Learning), and obtain organizational skills, making them well-rounded scientists. On the other hand, high school students get to know Physics concepts from who they consider their peers, facilitating their connection with instruction at the college level. In particular, Rebecca Cebulka, Priyanka Vaidya, and Cameron Nickle were instrumental in the organization of the camp, recruiting high school students, and distributing funds. Other graduate students, including Jonathan Lee, George Davila, Sayandip Dhara, Mahboob Ur-Rehman, Abrar Quadery, Gyan Khatri, Tyrone Thames, and Matt Wilcox, designed the curriculum and acted as camp instructors. The format of the camp was as follows: each day, there would be “lectures” where students would learn about specific physics topics, including kinematics, relativity, thermo-dynamics, planetary science, electricity & magnetism, nanomagnetism, oscillations and wave mechanics, optics, quantum mechanics, and various mathematical topics that would be useful for a physicist (vectors, matrices, geometry, and some calculus); a lunch break where students would socialize with physics and chemistry undergraduate students; lab tours and research talks from UCF physics professors; and a series of hands-on experiments, including a microdevice fabrication tutorial which took place in the UCF physics department clean room. It is especially important to note two things – first, that any “lecture” portion of the curriculum was designed to engage students through the use of group work, live and video demonstrations, and a focus on the ideas of physics rather than derivations and mathematics; and second, that the experiments were set up so that rather than students following a set procedure, they were encouraged to figure out how to gain information on their own. This active-learning approach, which has become standard practice at the UCF Physics Department, was very well received by participants. While PhYSICOS does gear itself towards helping to prepare participants for a college-level physics course, it focuses equally on getting students interested in physics for its own sake. I n order to assess the impact of the camp, a pre-/post-test was developed to test students’ physics knowledge before and after the camp as well as a survey to gauge the change in student interest in physics. 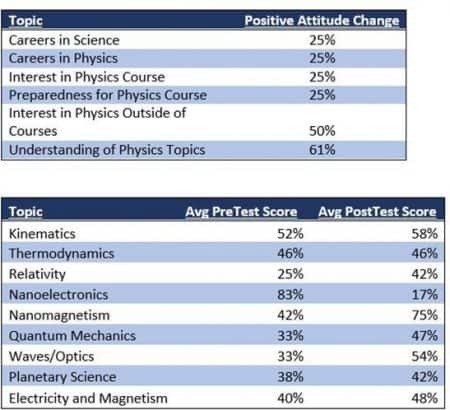 The results are shown below, with 25% of students having a positive change towards being more interested in a career in science or further study in a physics-related area. Regarding physics knowledge, students have shown a marked increase in nearly every topic, and an average of 61% of students felt their knowledge of physics topics had improved. Finally, 50% of students showed an increased interest in physics outside of school, while 25% of students responded that they were either more likely to take a physics course or felt more prepared to do so at the camp’s conclusion. We plan to follow up with participants for several years to see what percentage of students begin studying physics and wind up in a physics-related field. Although these results are preliminary, they are promising, and we do eventually plan to publish this data in a research paper (probably within the next 1-2 years, once we have enough additional data). In summary, the first installment of the PhYSICOS summer camp was a great success, with very positive feedback from students and parents alike. The graduate students involved are all very excited for next year’s camp, and are already planning! The plan is to transfer the organization and ownership of PhYSICOS to the UCF Graduate Student Physics Society, as it has been done with its sister camps in Chemistry (OCTET) and Biology (BIOTET). They have been able to stretch the GMAG funding, which added to institutional matching funds will allow the camp to continue over the next few years (and beyond…). There has been a measurable, positive impact both on student knowledge of and interest in physics, and the continuance of the camp allows for research into the effect of a pre-college intensive physics camp on student knowledge and engagement. We are very grateful to the APS GMaG Outreach Program for the opportunity to design and host this exciting summer camp. For a news story covering PhYSICOS, please see the University of Central Florida College of Sciences news page (https://sciences.ucf.edu/news/breaking-stigma-physics-free-camp/). For more information about the camp, please visit http://sciences.ucf.edu/physics/physicos/.